SHARMINI PERIES: Welcome back to my conversation with Andrew Feinstein. He’s the executive director of Corruption Watch UK and the author of The Shadow World: Inside the Global Arms Trade, which is a book and a film. Welcome back, Andrew. 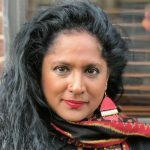 SHARMINI PERIES: Andrew, it was very difficult for me to stop you at the end of that first segment, because you actually pinpointed the most important and crux of the issue here, which is that the American–not only the government of the United States but also the arms makers–are complicit in war crimes here. The way that the Saudi-led coalition is executing and attacking Yemen, one of the poorest countries in the world, there’s really no need for this kind of aggression in Yemen. So if the U.S. was held accountable, there would be definite complicity here in terms of war crimes. Tell us more about that. ANDREW FEINSTEIN: The reality is that on the world stage, the United States, both the government, the military, and also the weapons makers, the large defense companies such as Lockheed Martin, Boeing, Northrop Grumman, et cetera, operate with virtual impunity. So because the United States is not a signatory to the International Criminal Court, there is very little legal consequence for the sorts of actions that we’re seeing in countries like Yemen and that we have seen in various parts of the world over the years. And this is a fundamental part of the problem. So American companies, with the active support and involvement of the American government, can continue to sell tens of billions of dollars of weapons to countries like Saudi Arabia and the United Arab Emirates, when we know that those weapons are being used to kill innocent civilians. And let’s take it even a step further. We spoke about the fact that 67 thousand people have so far died in the Yemeni conflict, of whom somewhere between 5 and 15 thousand are innocent civilians. 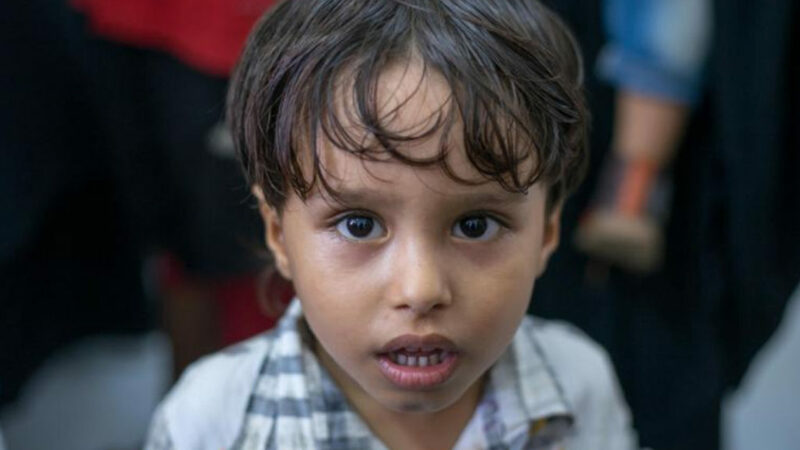 But in addition to that, because of the naval blockade of the country that is being undertaken by the Saudi-led coalition– and again, with predominantly American and some European ships and weaponry–it is estimated that between 17 and 24 million Yemenis face the prospect of either starvation or some sort of deadly disease. Medicine is not getting in, there is insufficient nutritious food getting into the country, and all of this is being done with the help of the American government and American companies. But both in terms of U.S. law and in terms of international law, there is no way to hold the U.S. government and its companies to account. And this speaks to a very major flaw in the international legal system and even in the American legal system, because surely it cannot be correct that American companies and the American government can be so involved in the slaughter of what could be millions of innocent people. And the justifications used for America’s involvement in that slaughter is that it would be much worse if the Americans weren’t involved. In fact, it’s as worse as it can get, and the reason it is so bad is primarily because of American involvement. Because the American government has it within its power to turn off the taps of weapons to Saudi Arabia and its Emirati allies within a day, and that would force them to bring the conflict in Yemen to an end. Except what America is actually doing is exactly the opposite, it keeps on turning that tap more and more open. So in my view, America has on its hands the blood of innocent Yemenis. And every day that this conflict continues, more and more innocent civilians are being killed. Just this weekend, we heard of yet another tragic bombing of a school, in which, as you mentioned, 13 people died, almost 90 were injured, the vast majority of those being children. Now, this is one of the worst examples of war crimes that we have seen anywhere in the world in decades, and it is a war that is being condoned and that is being fueled by America, and from which American companies and American individuals are making billions of dollars in profit. That simply cannot be right. That simply cannot be acceptable to the American taxpayer who is ultimately subsidizing it. SHARMINI PERIES: And as you say, Andrew, it is not acceptable to some people in the United States. The House as well as the Senate, in one of the few bipartisan decisions here, actually voted in favor of ending support to the Saudi-led coalition for the war in Yemen. And this is the House trying to take back the War Powers Act in the United States. And good people like Bernie Sanders, Ocasio-Cortez, Ro Khanna in the House, they have been fighting to get this bill passed for a very long time. And finally, it passed. However, it looks like Donald Trump will be vetoing that, because his real interest is to have the Saudis buy more and more weapons from the United States. Now, this is a very interesting moment in American history, I would say, because this is a real effort on the part of the Congress and Senate to take control of any war measures that the country executes on. Your thoughts on that. ANDREW FEINSTEIN: Well, first of all, let me say as a non-American speaking to you from the United Kingdom where I live, but also as a South African who had the enormous privilege of serving under President Nelson Mandela in our first democratic government in 1994, that the idea of the current president–or to be honest, any of recent American presidents, who have all shown a penchant for waging wars around the world. But someone like Donald Trump to basically be able to take America into a war like the conflict in Yemen with no sort of congressional approval actually fills those of us in the rest of the world with absolute fear and dread. We do not see the American president as a stable, let alone a humane, man, and we’re really concerned about whether the checks and balances in the United States system are working adequately. Because we’ve now seen this resolution that was passed initially in the Senate and then in the House–and as you say, enormous credit to the lawmakers, starting with Bernie Sanders, the progressive Democrats who brought this measure to the House, and also to the civil society groups that played such a crucial role, groups like Win Without War, Code Pink. These are people who, in my opinion, are living out the true value that the American Constitution stands for. But it’s highly likely, as you mentioned, that President Trump will simply veto this vote by both houses of Congress, and that American support for the Saudi-led coalition in Yemen will continue unabated. And part of his defense will be that this is good for American national security and that this is good for the American economy. Now, let me very briefly take each of those in turn. First of all, in terms of the national security argument, there have been numerous documented cases of some of this American weaponry that has been sold to Saudi Arabia and the United Arab Emirates turning up in the hands of the very people who the Saudi-led coalition and their American allies are supposedly engaged in conflict with. There is incontrovertible evidence that the United Arab Emirates has passed some of these American weapons onto groupings who are very closely allied with al-Qaeda and ISIS. Now, when I last checked, the United States was supposedly involved in what I regard as an endless war against these groups that the United States has identified as terrorists. But the fact that American weaponry is being passed to these groups, supposedly by an ally of the United States, seems of absolutely no concern to the American president or to the American military establishment, and absolutely nothing is being done about it. So these sales of American weaponry to Saudi Arabia and the United Arab Emirates are actually putting into danger American service personnel. So that’s on the national security side. On the economic side, as you mentioned previously, there are an extraordinary number of studies now that show that the number of American jobs being created by these arms deals that President Trump is engaging in are diminishing very rapidly. And why is that? Because part of the nature of the relationship with allies like Saudi Arabia is that America has given the Saudis the ability to manufacture a lot of this American weaponry themselves in Saudi Arabia and the Emirates. So rather than these arms deals resulting in jobs for American workers, they’re not only exporting weaponry, but they’re exporting most of the jobs that are used to create that weaponry as well. So Donald Trump is yet again pulling the wool over the eyes of the American taxpayer and the American voter, because there is no national security advantage to these weapons sales and there are no meaningful economic advantages to America from these weapons sales that are causing such huge numbers of casualties on the ground in the Middle East. SHARMINI PERIES: All right. Now Andrew, finally, when you look at the data coming from various sources about arms sales, for example, the Stockholm International Peace and Research, SIPRI, also from the Security Assistance Monitor from the U.S. State Department, and various other sources, some of the data about the arms sales contradict each other. It is very difficult to sift through all of this. We don’t know what’s fact and what’s fiction, especially when you’ve been told one thing by the president and then it turns out it’s not actually truthful. But there is a body within the United Nations, the UNODA, that’s supposed to track arms sales. As far as you’re concerned–sorry for this technical question–but as far as you’re concerned, what’s the best sources out there in terms of tracking arms sales, and what are reliable? ANDREW FEINSTEIN: I mean, this is a very difficult question. I would like to be able to say to you that the government’s sources of information certainly should be the most accurate. Governments should be transparent and honest with its own citizens, who are, after all, subsidizing an enormous amount of these arms sales. Because remember, an enormous amount of taxpayers’ money goes to the American defense companies. I mean, for instance, there is something called what the analyst Bill Hartung has referred to as the “Lockheed Tax,” where at one point it is estimated that 30 cents in every dollar paid to the tax man in the United States actually finds its way into the coffers of Lockheed Martin. But unfortunately, government figures on the sales of weaponry have become less and less accurate. They have become more and more opaque over the years. So I think we need to rely on the work of organizations like you mentioned, SIPRI being probably one of the preeminent amongst them. Another very good source for information on the use of weaponry in Yemen is a project called the Yemen Data Project that takes place in Yemen itself, but a lot of the information is brought out of Yemen and is analyzed in the United Kingdom. These are two of the sources that we use. The Security Assistance Monitor, as you mentioned, have been doing a superb job of collating a wide range of information. And I think that we’re now in a situation where it’s the organs of civil society that reflect a far more accurate picture of what weaponry is being sold to all sides in the Yemen conflict and exactly what sort of weaponry is being used, both from the air and on the ground, in some of these attacks that are leading to such tragic loss of often innocent human life. SHARMINI PERIES: All right. Andrew Feinstein, I thank you so much for joining us. And as always, it’s been very informative and very wonderful, really, to have your analysis to decipher all of what’s going on around us. I thank you so much for joining us. ANDREW FEINSTEIN: Thank you for your time.